Soirbheas has identified that improved broadband connectivity is a priority to support the economic and social development of the area, enabling employment opportunities through home working, facilitate e-commerce development for local businesses, support remote health care and encourage individuals to remain within and relocate to the area. A survey broadband and mobile phone coverage survey was carried out at the beginning of 2014. 84 household s and businesses took part in the survey, of those 42 people felt that their broadband connectivity was poor. Download speed varied from as little as 500kb (a few as low as 100kb) to some reporting 6.8 mbps. Monthly costs for broadband ranged from £4.50 to highest paying £42.36. Soirbheas joined forces with other local organisations in the surrounding Loch Ness area to form a partnership with working with other surrounding areas and Community Broadband Scotland to try to address any gaps in provision. Three years on – though some postcodes areas have benefited from the roll-out of BT’s Superfast there are still substantial gaps in provision. 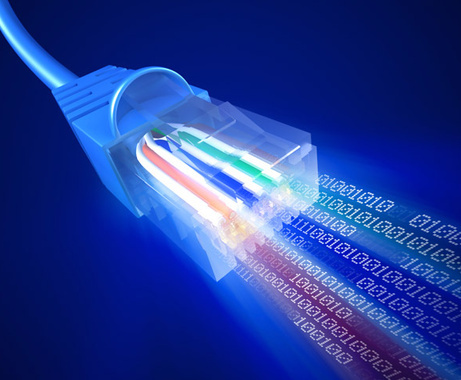 If you haven’t benefitted from the current BT roll-out there might be other options available to you if you don’t want to wait until the R100 programme has been developed which is the next round government funded superfast roll-out – see the Broadband Update – March 2019.